Sustainable Intensification (SI) integrates innovations and practices from the fields of ecology, genetics and socio-economics to build environmentally sustainable, equitable, productive and resilient ecosystems that improve the well-being of farms, farmers and families. SI offers a practical pathway towards the goal of producing more food whilst ensuring the natural resource base on which agriculture depends is sustained, and indeed improved, for future generations. According to the Montpellier Panel reports “Sustainable Intensification: A New Paradigm for African Agriculture” and “Innovation for Sustainable Intensification in Africa,” SI includes three mutually reinforcing pillars: Ecological Intensification, Genetic Intensification and Socio-Economic Intensification. 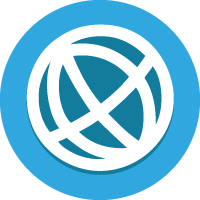 Each pillar is broken into three approaches, with 27 sub-sections, 81 accompanying case studies and additional resources to illustrate the pros and cons of each method. The explanations and case studies are intended to serve as a resource for donors, practitioners and policy-makers alike, offering insights on defining SI, innovating within SI and facilitating open sharing of knowledge on these subjects. For more information about the SI Database, please read our FAQ or look at our infographic. Barn swallows rest on a bamboo stake supporting string bean and bitter gourd, growing on a rice bund in an ecologically engineered field. 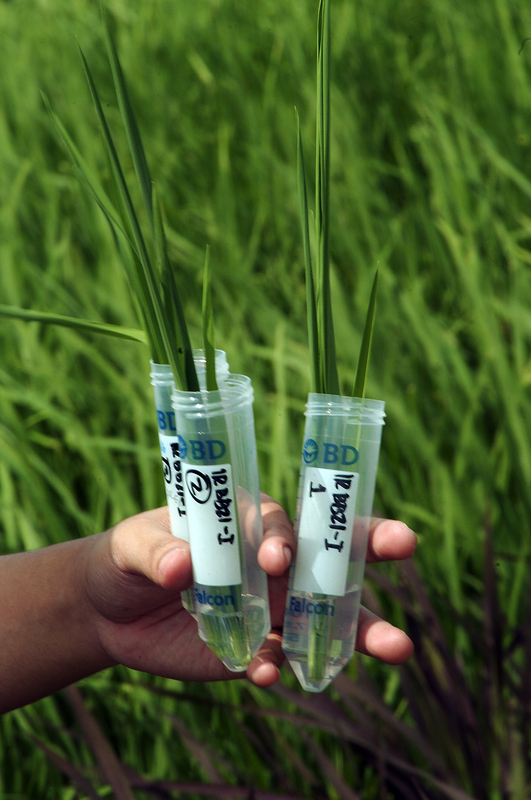 Credit F. Horgan, IRRI. Ecology (the processes that influence the distribution, abundance and interactions of organisms) and ecosystems (the interaction of a community of organisms with their environment) have underpinned agriculture since the beginnings of domestication and cultivation. Our food comes principally from managed agroecosystems (modified natural ecosystems created by farmers), as well as from marine and freshwater systems or forests. 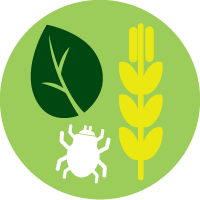 Within each agroecosystem, the diversity of the original field biodiversity (the variety of different types of life found on earth) is reduced to a limited set of crop, pest and weed species. However, many of the basic ecological processes remain the same. Ecological Intensification seeks to create sustainable forms of crop and livestock production. Ecological Intensification involves using ecological processes more intensively in a sustainable manner. The aim is to use land, water, biodiversity and nutrients more ecologically efficiently and in ways that minimise negative environmental impacts. The ecological principles and practices that can be used to sustainably intensify the agroecological system include the processes of competition and mutualism between crops and weeds, herbivory of crops by pests, predation of pests by their natural enemies and the decay of organic matter. Ecological Intensification is one of the three pillars of Sustainable Intensification, alongside ‘Socio-economic’ and ‘Genetic Intensification’. When aiming to sustainably intensify an agroecosystem, it is beneficial to include elements of all three pillars. Ecological Intensification includes building natural capital, precision agriculture and diversification. 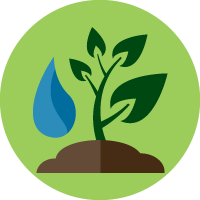 Natural capital (the biophysical assets within the natural environment that deliver economic value through ecosystem services) can be conserved and enhanced through a variety of approaches, including organic agriculture, water conservation and conservation agriculture. Precision agriculture aims to ensure that inputs – whether of nutrients, pesticides, seeds or water – are used in a precise and strategic way so ensuring that they are used sparingly and effectively with minimal environmental impact. 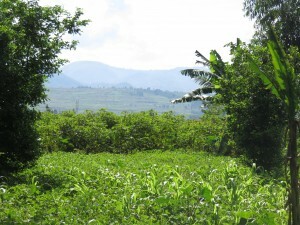 Knowledge of sustainable farming practices that protect natural capital for smallholder farmers is limited, as is access to the right types of inputs in remote parts of sub-Saharan Africa. The prudent and targeted use of inputs such as fertilisers helps to improve soil quality and moisture whilst minimising the environmental impact that excessive use can cause. Precision farming can be achieved with methods such as microdosing, soil testing and seed spacing‎. 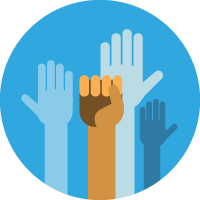 Diversity is the number and relative abundance (how common or rare a species is relative to other species in a defined location) of different species – both flora and fauna – that are found at a given site, or field. Diversity is generally considered a key factor in maintaining stable and resilient agroecosystems. Conventional agricultural systems comparatively are simplified natural ecosystems to maximise the production of a limited number of crops or livestock. This has led to a significant loss of genetic diversity of domesticated plants and animals. Diverse agroecosystems can have multiple benefits when varieties or species are grown together with minimal competition or if there is a mutual beneficial relationships between them. Mixtures of crops can provide for a diverse and healthier diet, deter pests, and during times of crises such as drought or cyclone, can provide a form of insurance when at least one crop out of many survives. Diversification can be achieved with the use of multiple cropping, agroforestry and integrated pest management (IPM). Godfray, HCJ and Garnett, T 2014, Food security and sustainable intensification Phil. Trans. R. Soc. B 2014 369 20120273; DOI: 10.1098/rstb.2012.0273. Juma, C, Tabo R, Wilson, K & Conway, G 2013, Innovation for Sustainable Intensification in Africa,A Montpellier Panel Briefing, Agriculture for Impact, London. Voora, VA & Venema, DH 2008, The Natural Capital Approach: A Concept Paper, International Institute for Sustainable Development, Winnipeg. Mori, AS, Furukawa, T Sasaki, T 2013, Response Diversity Determines the Resilience of Ecosystems to Environmental Change. Biological Reviews vol. 88, no. 2, pp. 349–364. Foley, JA, DeFries, R, Asner, GP, Barford, C, Bonan, G, Carpenter, SR, Chapin, FS, Coe, MT, Daily, GC, Gibbs, HK, Helkowski, JH, Holloway, T, Howard, EA, Kucharik, CJ, Monfreda, C, Patz, JA, Prentice, IC, Ramankutty, N & Snyder PK 2005, Global consequences of land use, Science, vol. 309, no. 5734, pp. 570 – 574. 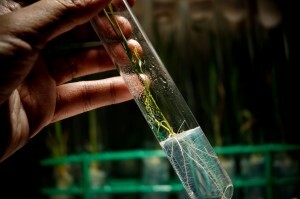 A rice plant being propagated using tissue culture. Credit, IRRI. For thousands of years farmers have sought to shape the genotype (the genetic makeup of an organism with reference to its traits) and, as a result, the biological, chemical and physical characteristics of crop varieties and livestock breeds. The process of genetic inheritance (the transmission of characteristics or qualities from parents to offspring) allows farmers and breeders to improve food security by increasing both yields and the nutritive qualities of crop varieties and livestock breeds. Soon after the earliest domestication of cereal grains, humans began to recognize degrees of superiority in their fields and saved seed for future planting seasons. Modern plant breeding only dates back about 50 years. The role of pollination and fertilization in the process of reproduction was not well understood even 100 years ago, and it was not until the early part of the 20th century that the laws of genetic inheritance were applied toward the improvement of plants. Today, plant breeding aims to develop improved crop cultivars (deliberate cultivated varieties) to satisfy a range of needs and overcome a multitude of challenges. For example, breeders develop cultivars with improved yields and tolerance to drought or resistance to diseases in order to reduce the risks presented by increased food demand, diminishing supplies of good quality land and water, pest and disease outbreaks, and climate change. Soil quality can also be enhanced by varieties bred to enable nitrogen uptake and fixation or human nutrition can be improved through biofortification which adds or raises the levels of micronutrients present in a staple crop. 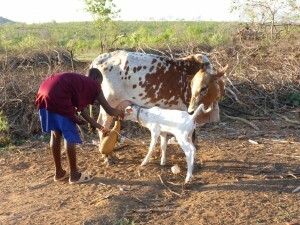 Milking a cow once the calf begins to suckle in Tanzania. 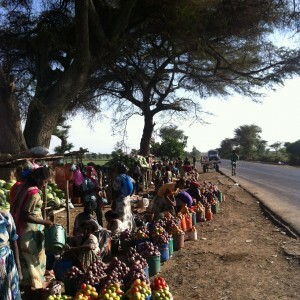 Credit, T. Cooper, ILRI. 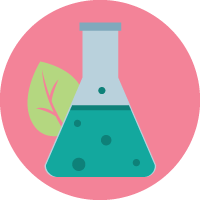 Through conventional plant breeding, beneficial genes have been preserved and brought into association with other complementary genes from close relatives. The earliest approach was to select the seeds from the best performing plants for next year’s crop. Over time new and better cultivars were created containing superior genes and gene combinations. Occasionally natural crossing or hybridisation occurred between two species, for example between a wild wheat and a wild grass producing bread wheat varieties. These were then subject to intensive human selection. In the last century humans began to deliberately hybridise different varieties and species. This concentration of beneficial genes in varieties and breeds is the essence of Genetic Intensification. Since the cellular and molecular revolution over the last half century, conventional breeding has been augmented by forms of biotechnology for both crops and livestock. 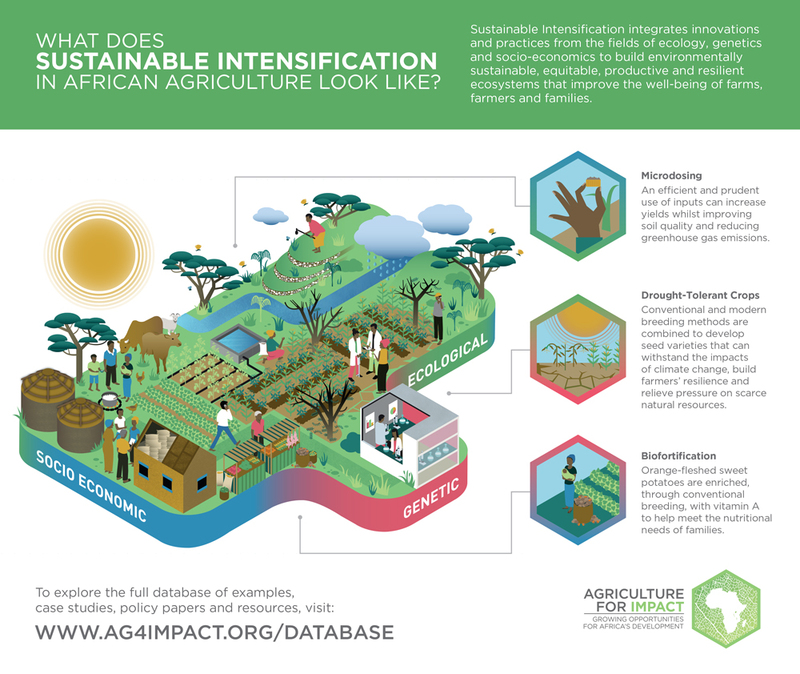 Genetic Intensification is one of the 3 pillars of Sustainable Intensification, alongside Ecological Intensification and Socio-Economic Intensification. Genetic Intensification includes ‘conventional plant breeding,’ ‘biotechnology,’ and ‘livestock breeding’ which incorporates elements of both breeding technologies. 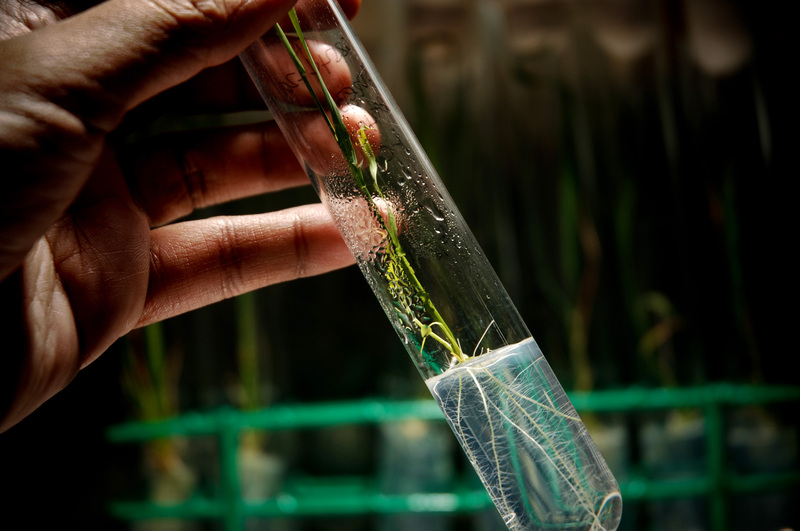 Conventional plant breeding can occur through a variety of approaches and for a number of objectives such as with participatory plant breeding, improving seeds through hybridisation or enhancing their nutritional properties with biofortification. 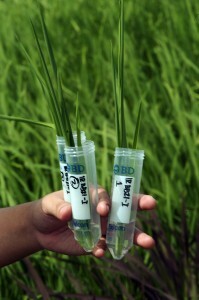 Rice leaf samples of transgenic lines that will be subjected to DNA extraction in the laboratory. Credit, IRRI. Biotechnology is the application of the revolution in cellular and molecular biology that uses our knowledge of DNA and RNA (genetic information) to identify the basis for cultivating desired traits in plants and animals. 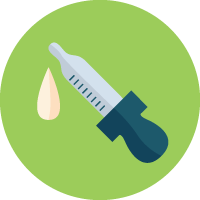 This field includes several different technologies and processes for gene identification, transfer and insemination such as marker aided selection, tissue culture, and recombinant DNA. Intensification of livestock breeding is the concentration of beneficial genes in livestock breeds, in order to sustainably increase the productivity of livestock with little or no increase in the amount of land devoted to livestock fodder and grazing. 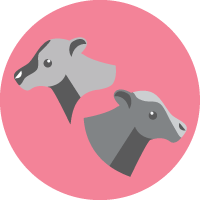 Livestock breeds can be improved through a number of proven technologies such as artificial insemination, cross breeding ‎and embryo transfer. Socio-economic Intensification involves a greater intensity, variety and range of involvement of farmers in social and economic processes and institutions on the farm, in the community and across regions and nations. Adoption of new practices and technologies by farmers will only happen and persist if an appropriate enabling environment is supported that favours not only agricultural intensification but also its sustainability. Farmers demonstrate new techniques learned from a farmer field school. 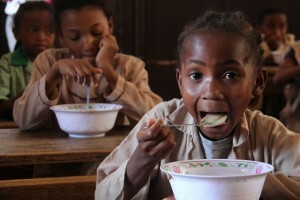 Credit, USAID. African smallholders require equitable access to input and output markets and help with joining remunerative value chains. Without secure rights to land they will not invest in improvements to their farms. 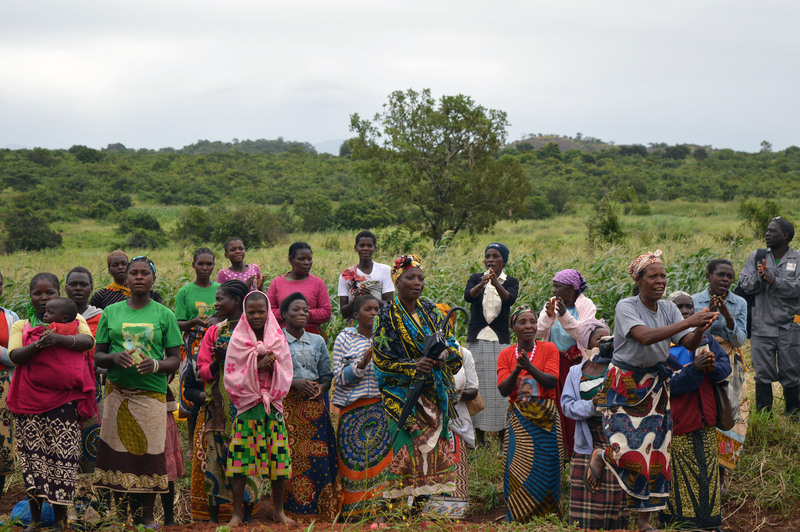 Farmer associations, including cooperatives, outgrower and contract farmer groups, are essential if smallholders are to exert their bargaining power. 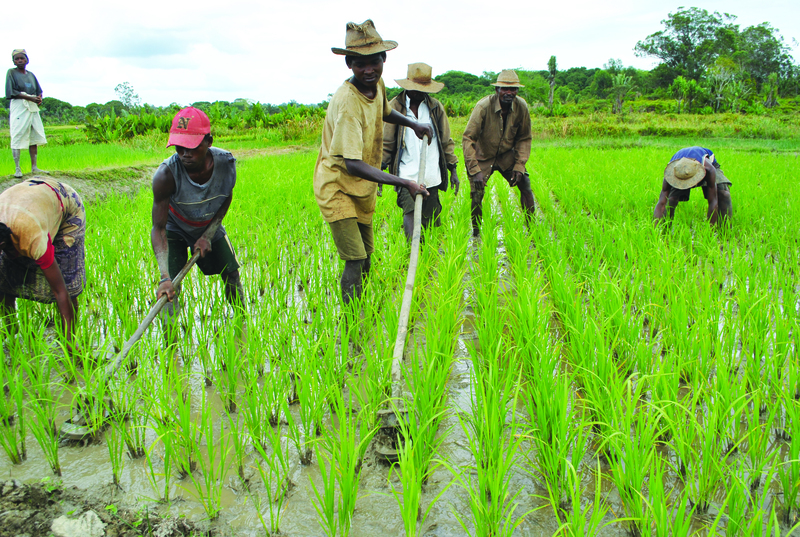 Increasing productivity on current land will also require significant investments in agricultural research and extension, in the road infrastructure that links farmers to markets and in the development of better rural services, including access to education and health care. Socio-economic Intensification is one of the 3 pillars of Sustainable Intensification, alongside ‎Ecological Intensification and ‎Genetic Intensification. Socio-Economic Intensification involves supportive enabling environments, and building the ‎social and ‎‎human capital of smallholder farmers. A supportive enabling environment combines macro-economic policies that favour markets and trade, the provision of inputs, related physical infrastructure (such as roads and irrigation) and social infrastructure (such as ‎‎education and research), together with institutions. Methods in Ecological and Genetic Intensification can help farmers to produce more with less, but an enabling environment is required to allow innovation for Sustainable Intensification to be adopted. Well-functioning markets facilitate trade and enable the distribution and allocation of resources in a society. They are vital for agricultural development and poverty reduction and are the basis of rapidly developing agribusiness value chains that provide opportunities for smallholder farmers. Insurance, a tool to manage price and production risk, can encourage farmers to adopt production systems that are potentially more resilient, productive and more profitable, but involve greater financial risk. 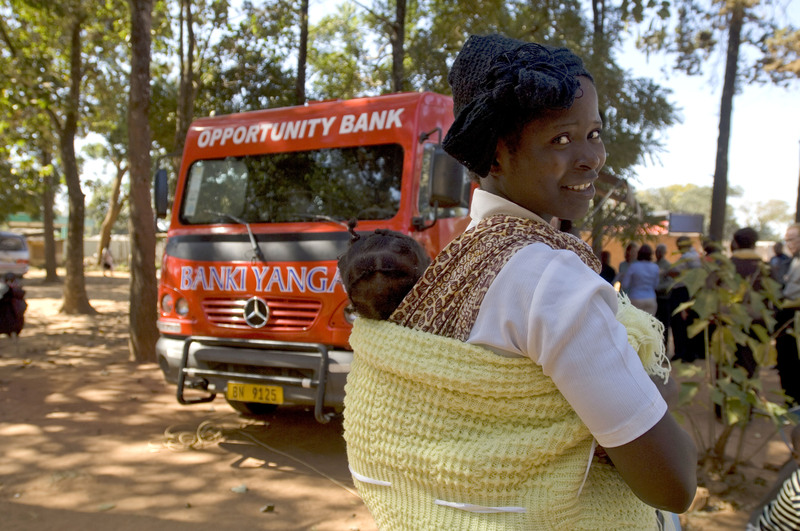 Agricultural finance is the provision of services that are dedicated to supporting both on- and off-farm agricultural related activities, but it must become accessible and affordable to smallholders. 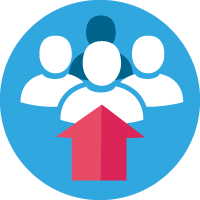 Social capital is the value that can be created through social networking and trust within and between people and organisations, an important element for creating sustainable livelihoods and economic development. In fact, social capital may be the most important resource available to poor communities burdened with low incomes, poor education and few assets. 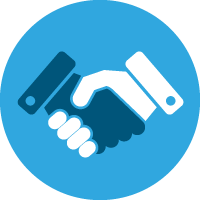 Cooperatives, value chains and institutions create the infrastructure for relationships to be developed, forming the basis for building social capital and contributing to socio-economic intensification through peer to peer learning,, and better access to flows of products, knowledge and information. Human capital or capacities, such as education and health, can raise productivity and increase livelihoods and food security when leveraged or increased. It plays a critical role in economic growth and development because human beings occupy the centre of production, distribution and consumption. Agricultural education and training, extension and research are all key in building the capacity of farmers, but only if they are responsive to farmers’ needs and the realities they face. Agricultural education and training can strengthen capabilities and positively impact productivity since educated farmers better enabled to adopt and apply new technologies. The role of extension services is invaluable in teaching farmers how to improve their productivity and to engage in participatory research, a collaborative process oriented towards social transformation. New Zealand Social Infrastructure Fund (NZSIF) 2009, What is Social Infrastructure? Available from: <http://www.nzsif.co.nz/Social-Infrastructure/What-is-Social-Infrastructure/> [9 July 2015]. Juma, C, Tabo R, Wilson, K & Conway, G 2013, Innovation for Sustainable Intensification in Africa, A Montpellier Panel Briefing, Agriculture for Impact, London. The World Bank 2011, What is Social Capital Available from: Visit here [9 July 2015]. Woolcock, M & Sweetser, AT 2007, Social capital: the bonds that connect. Asian Development Bank (ADB), Manila. Narayan, D & Pritchett, L 1999, ‘Cents and sociability: Household income and social capital in rural Tanzania’ Economic Development and Cultural Change, vol. 47, no. 4, pp. 871-897. Isham, J 2002, ‘The effect of social capital on fertiliser adoption: Evidence from rural Tanzania’ Journal of African Economies, vol. 11, no. 1, pp. 39-60. Bandiera, O & Rasul, I 2006, ‘Social networks and technology adoption in northern Mozambique’ The Economic Journal, vol. 116 no. 514, pp. 869-902. The Organisation for Economic Co-operation and Development (OECD) (no date), ‘Human Capital’ Glossary of Statistical Terms, Available from: <http://stats.oecd.org/glossary/detail.asp?ID=1264> [9 July 2015]. Davis, K, Ekboir, J, Mekasha, W, Ochieng, CM, Spielman, DJ & Zerfu, E 2007, ‘Strengthening agricultural education and training in Sub-Saharan Africa from an innovation systems perspective: Case studies of Ethiopia and Mozambique’ The Journal of Agricultural Education and Extension, vol. 14, no. 1, pp. 35-51. Röling, N & Pretty, JN 1997, ‘Extension’s role in sustainable agricultural development’ in: eds. BE Swanson, RP Bentz & AJ Sofranko, Improving Agricultural Extension: A reference manual, Food and Agricultural Organisation of the United Nations (FAO), Rome.